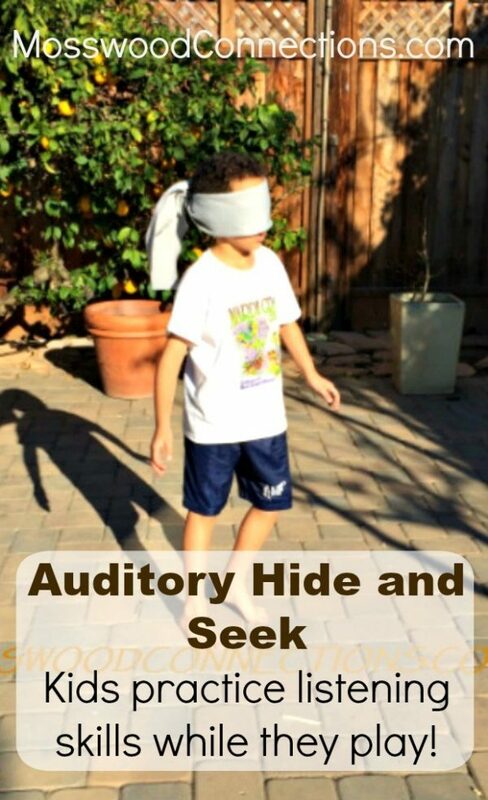 Try turning the classic game of Hide and Seek into this auditory processing game. While children play they will also be working on developing auditory processing skills. Find a large space to play. Choose someone to be it and someone to be the “conductor”. Explain that only one child can make their sound at a time. Trust me, this is very important otherwise, you will have a cacophony of a headache producing noise. It is the conductor’s job to choose who makes the sound. The other children make their sound when the conductor points to them. When a child has a difficult time staying quiet for a long time it would be wise for the conductor to choose that child first. If a child continues to be noisy when it is not their turn, have them sit down until it is their turn. 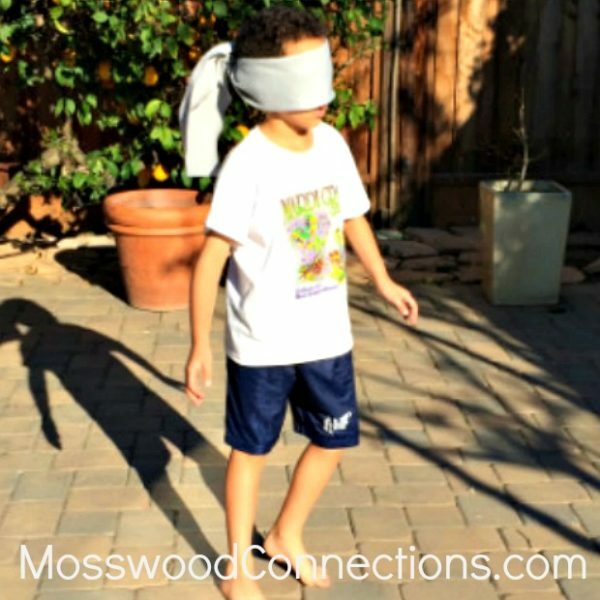 Blindfold the child who is “it”. The “conductor” points to one of the other players and it is their turn to say their word, make their sound or play their instrument until “it” finds them. Once they are found, have the person who is “it” guess who they found by associating the sound with the person. You can either have the same child be “it” until all the children are found or you can have the person who is found then take their turn to be “it”.